With a history that goes back 2,000 years, milk thistle has a variety of medicinal applications. This herbal remedy has been used for everything from chronic inflammatory disease and cirrhosis of the liver to depression and diabetes. While there is no clear evidence that milk thistle is effective, it is most commonly used to treat conditions of the liver, and to protect the liver from the effects of liver-toxic medications. University of Maryland Medical Center notes that milk thistle is often used to treat alcoholic hepatitis and liver cirrhosis. While some of the data is conflicting, there is evidence that milk thistle can improve liver function and survival rates in those with liver disease. According to New York University Langone Medical Center, milk thistle may work in two ways to protect the liver: by displacing liver-binding toxins, which allows for faster healing, and by stabilizing the membranes of liver cells, through its antioxidant capacities. NYU Langone Medical Center notes that many medications can cause damage or inflammation to the liver. Because of its liver-repairing effects, milk thistle is particularly useful for people taking these prescriptions. In addition to its liver-protective effects, an active substance in milk thistle, known as silymarin, may have anticancer effects. The University of Maryland Medical Center notes that silymarin and other active compounds in milk thistle work by inhibiting the division of cancer cells and promoting early cancer cell death. A study published in a 2002 issue of "Medical Science Monitor" investigated the immune-enhancing effects of milk thistle. The researchers found a positive correlation between increased doses of milk thistle and enhanced immune response. The study concluded that the immunostimulatory effects of milk thistle may be useful in heightening the body's response to infectious diseases. The authors of the study also mention milk thistle's ability to inhibit tumor cell growth, another effect related to improved function of the immune system. 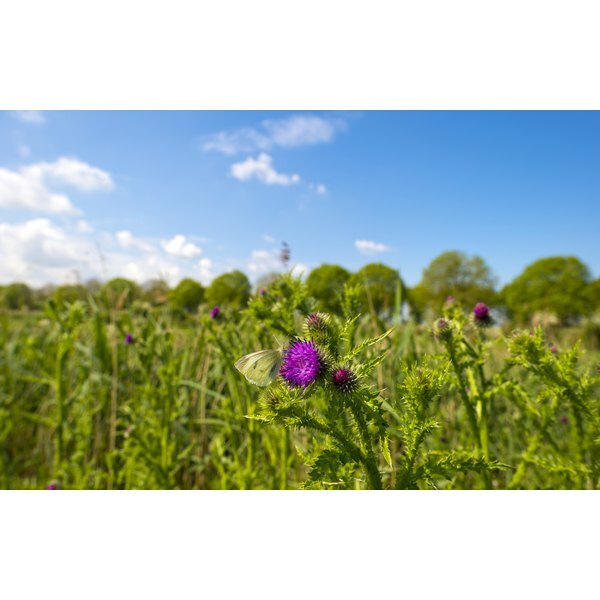 MedlinePlus notes that milk thistle possesses both antioxidant and anti-inflammatory effects, which could make it useful for a variety of applications. According to MedlinePlus, however, of all of milk thistle's potential uses, it is most effective in treating seasonal allergies and heartburn. For these applications, a rating of "possibly effective" was assigned, whereas all other uses rate as "insufficient evidence," due to inconclusive research. Milk thistle has a safety rating of "likely safe."